As cosmic energy touches Earth energy, creation manifests itself gloriously. Cosmic Energy makes up the Earth, it is the Void, the Divine as well as Space, and it makes up All That Is. The cosmic energy can be converted from one form to another, but it cannot be created or destroyed. The Cosmic Energy exists everywhere in the Cosmos. It is the Bond between the galaxies, the planets, humans and molecules. It is the ‘space’ between each and everything. It is the bond, which keeps the whole cosmos in order. Cosmic Energy is the ‘Life Force’. Cosmic Energy is responsible for maintaining order and balance throughout the Cosmos. It makes up you and everything else in existence and it is the space between. At the time of your birth, you entered the physical realm as a speck of Cosmic Consciousness, a seed of the Divine, a spiritual energy manifest in the Earth plane to experience life, and to grow, advance and evolve. Additional names for Cosmic Energy include; super-consciousness, higher consciousness, or supreme consciousness, chi, prana, and life force energy. Cosmic Energy is essential for you as a physical and spiritual being. It is key to living a happy and healthy life. It is key to awakening spiritually, psychically, and it is key to ascending, and expanding consciousness. Cosmic Energy is essential for life to continue in an individual and collective sense. It is the fuel for action, life, and being. Cosmic Energy heals and improves your mind, body, and spirit when you connect with it and it boosts intellect and intuition. Everything created is energy, and energy vibrates at different levels. Cosmic Energy is always accessible, but there are really only two ways to receive it. Firstly, Cosmic Energy is accessible through meditation. During meditation, your consciousness is able to transcend your body and mind, allowing Cosmic Energy to flow into your being. The second way to receive Cosmic Energy happens naturally through deep sleep. But, in our fast paced, often hectic and chaotic world filled with drains on our energy, the Cosmic Energy we connect with during sleep is not sufficient enough to even replace that which we’re losing. We use Cosmic Energy daily, just to be alive in our physical bodies, and to talk, listen, see, and think, and then it’s drained further by things like junk food, alcohol, TV, stress, guilt, and frustration. It’s no wonder people today are stressed, tense, and tired all the time. Sleep isn’t quite enough to replenish the Cosmic Energy we’re using up, and so meditation to connect with additional Cosmic Energy is essential. The expansion of healing methods of the Cosmic Energy and increasing and understanding our higher energy level will make us tune into with elevated Cosmic Energy levels. Cosmic Energy is available in an abundant supply, so it’s simply up to you to get into it. Meditation is the way to align with the Cosmic Energy which can carry you forward on your path of healing, spiritual growth, ascension, and psychic development. Cosmic Energy flows into your being when your mind is still and focused to receive it. This is why you do absorb some Cosmic Energy through sleep, which is essentially an unconscious meditation. But as you learned, you need more, so taking the time to meditate daily, even if you don’t feel like it will work wonders for your energy levels, health, emotions, relationships, state of mind, awakening level, and more…Getting more into Cosmic Energy Vibration will increased our levels of Cosmic Energy which will get benefit in all areas of our life by simply tuning into the energy of Higher Consciousness. Cosmic Energy is always accessible, but there are really only two ways to receive it. Firstly, Cosmic Energy is accessible through meditation. During meditation, your consciousness is Image result for angels and cosmic energyable to transcend your body and mind, allowing Cosmic Energy to flow into your being. Meditation has many benefits. It can play a significant role in increasing your happiness, well-being, concentration, and it can even boost your bodies immune system, it helps reduce anxiety or depression, and can help you cope with the challenges, obstacles, and confusions of life. Angels are interwoven within the culture of man. Regardless of religion or belief system, stories of angels are a part of our heritage, of the fabric that makes up human history. We begin by taking in a very deep breath and inhaling all of the good energy from the angels and on the exhale, letting go of anything that could be stressing or bothering us. And as we continue to breathe in and out very deeply, we call upon your guardian angels and the archangels to make their presence known. And perhaps you can feel them around your shoulders, your head, your heart, or other parts of your body, feeling them as a tingling or warmth or just a feeling generally of safety and peace. And even if you can’t exactly feel them right at this moment, know that they are with you and ready and willing to help you with whatever will bring you peace. So if you think of a question that you have for the angels or any requests for their help, and just take a moment and mentally ask this of your angel, now. Sit in a upright, comfortable, and relaxed sitting position. Place your hands in your lap. Release thoughts which appear and return your focus to your breath. As you practice this your breathing will become slower and shallower. Allow this to naturally happen. Allow your breath to open your third eye, and just continue to breathe and be aware as the realms of Spirit and the Energies of Cosmic Consciousness become available to you. Daily meditation is so essential, and is something the Archangels continue to illustrate. Can you commit to meditating everyday for a week? Try it out and see how you feel. The archangels were the four chief angelic creations of God. They were created in this explicit order: Michael, Lucifer, Raphael and Gabriel. The archangels acted as siblings, and distinctively interacted with themselves and their father. Some point after their creation, they and God went into war with The Darkness and together, while they couldn’t destroy it, they succeeded in binding it. God then created a mark, later to be called The Mark of Cain, that would serve as both lock and key for the Darkness, which he gave to his most loved son and most trusted lieutenant, Lucifer. After the banishing of the Darkness and helping create Heaven, Michael personally raised his younger brother Lucifer, and accordingly, Lucifer took care of Gabriel, and showed him different tricks. Angels are beings of light sent from Source or God. They do not belong to any religion although they feature in many, in some form and sometimes by another name. The Bible also says that angels were created before the earth and they might well have actually had an active part in the creation of the earth. They were certainly excited about it. God’s angels live in heaven with God and belong to Him. On several occasions, Jesus refers to angels as belonging to God and being in heaven. There are lots of them! Jesus describes being able to call on 144,000 angels and twice over 100 million angels are described as worshiping God in heaven. Angels are ‘spirit’ beings and don’t have bodies as we think of them. They also seem to be a higher level of creation than man. Angels are also described as being like winds and fire. In fact, both the Hebrew and Greek words for ‘spirit’ can also mean ‘breath’ or ‘wind. The English word “angel” is derived from the Greek word “angelos,” which means “messenger.” The faithful from the world’s major religions believe that angels are messengers from God who carry out tasks that God assigns them to perform on Earth. When they appear on Earth, angels may be in either human or heavenly form. So angels may visit in disguise, looking just like human beings. Or angels may appear as they’ve been popularly depicted in art, as creatures with human faces and powerful wings, often shining with light from within. Just like their name implies, angels may deliver God’s messages to humans, such as by comforting, encouraging, or warning people according to what’s best in each situation into which God sends them. Angels are obedient to Cosmic or Universal Laws. According to the Spiritual Law of Free Will, angels are unable to intervene or help us unless we specifically ask. The only exception to this rule of free-will is if we are in mortal danger of dying before our time. That is the only time angels are able to intervene un-asked. The angels are here to help us heal from issues and challenges that are seemingly mundane, to those that seem important and urgent, or spiritually profound. There are no limits to the angel’s healing powers. They can help us heal our relationships, career concerns, finances, housing or accommodation issues and any other challenge we may face in our lives. Angels exist on a different vibration frequency, which is why we are unable to perceive them ordinarily. One of the angel’s tasks is to help us lift our vibration frequency. We cannot usually see or hear them because they vibrate at a frequency that is beyond our visual and auditory range. Thus the Archangels are present through all levels of creation from the highest vibration frequency pulses at the central core of God or the Source through to the densest of physical matter. Archangels are present everywhere, in each and every moment. Connecting Source Energy can open our soul to the Angelic Kingdom. The angels have an incredible way of speaking to your ego mind to get it to focus, while simultaneously broadcasting higher vibration frequencies of Divine Light and Cosmic Energy which you automatically tune into as you listen. You can simply go within. Turn off your mind and commune with the Ascended Masters, with the Divine, and with the unlimited supply of Cosmic Energy. Angels have thoughts, intelligence (they can speak God’s heavenly language as well as the languages of earth) and emotions. Angels don’t die, marry or pro-create so, they were probably all created at the same time. God’s angels also know their rightful place, as created beings of God. They exist to worship and serve God – not be worshiped themselves. Angels do have free will to make their own choices. Towards the beginning of creation, one of the highest ranking angels, Lucifer – also now known as Satan or ‘The Devil’ rebelled against God and decided he wanted God’s power. There was a great battle and Lucifer and his followers (about a third of all the angels) lost, were punished and thrown out of heaven. They now work against God and his holy angels to try and stop people knowing God. Angels (and the ‘fallen’ angels) are not normally ‘visible’ to our eyes. It may be that they can choose to reveal themselves to us (or when God allows us to see them). Having said that, angels, if allowed by God, can also appear as ‘normal’ men, as described in the Bible when Abraham and his nephew Lot were visited by ‘men’ The archangels have a more powerful, stronger essence than guardian angels. They oversee and guide the other angels who are with us on earth. As opposed to our guardian angels, the archangels can be in more than one place at a time. They don’t all have wings! Only certain types of angelic/heavenly beings are described as having wings. Angels also don’t know everything and can’t be everywhere. They serve God and follow his commands. Seven archangels supervise other angels who work in teams to help answer prayers from people according to the type of help for which they’re praying. Since the angels travel through the universe using the energy of light rays to do this work, various rays represent the kinds of angelic specialties. Archangels are considered to very powerful spiritual beings that have captured our attention for centuries. The prefix ‘arch’ means ruling or chief in Greek. Religious texts refer to archangels as being at a high level in the celestial hierarchy. While the exact number of archangels is unknown many traditions and faiths reference seven archangels. Who these seven are is also a source of debate varying from faith to faith. Many scriptures tell of the archangels great abilities as healers and guides, intervening with assistance in many of life’s challenging situations. Continue on to learn about 7 well- known Archangels and their specialties. The Archangels are magnificent spiritual beings who vibrate with an incredible light and frequency. Each Archangel illuminates specific attributes and qualities of Creator, God, and of All That Is through the immense Divine Light and love they carry. The Archangels serve according to Divine will within the Heavens and on Earth, and their missions are often closely intertwined with helping humanity, because of this, their presence has been documented in many of the worlds religions. Archangels exist outside of any one religion or culture, and they exist outside of time and space. They are able to view reality, including our past, present and future as one stream of energy within the present moment, which enables them to offer powerful guidance and enlightening new perspectives. Archangels can appear to different people in locations across the world, all at the same time. They are great beings of light and unconditional love who coordinate and oversee guardian angels, guides, and other angels who provide help to us on Earth. Archangels project the light of the Divine and the energy of unconditional love always. Archangels are highly evolved spiritual beings of the light, who are more than willing to offer their love, guidance, healing, and support whenever we ask, but will not interfere without our permission. There is no one way to properly connect with or evoke the Archangels, but one thing is certain, by increasing your vibration first, and learning to open your subtle and psychic senses you’re far more likely to connect with the high vibration energy of the Archangels in a meaningful way. Archangels are the highest-ranking angels in heaven. God gives them the most important responsibilities, and they travel back and forth between the heavenly and earthly dimensions as they work on missions from God to help human beings. In the process, each archangel supervises angels with different types of specialties — from healing to wisdom — who work together on the light ray frequencies that correspond to the type of work they do. By definition, the word “archangel” comes from the Greek words “arche” (ruler) and “angelos” (messenger), signifying archangels’ dual duties: ruling over the other angels, while also delivering messages from God to human beings. Archangels are the strongest class of angel, being looked at as Heaven’s most fearsome wrath. They were the first Angels to be created, arguably making them God’s first creations, possibly older than Leviathans. Archangels were harder to make and are harder to revive as they were formed from such powerful primordial energies of creation which no longer exist after the physical plane and universe were created. They were created in this order: Michael, Lucifer, Raphael, and Gabriel. Michael is the mightiest and the most loyal archangel, Lucifer is the most prideful and avaricious, Raphael was the most ruthless and imperious, while Gabriel was the most mischievous and deceptive. The angel Metatron was also considered to be an Archangel by other Angels, until he revealed that he was simply a regular angel who was chosen to be the Scribe of God. Archangels are responsible for ministering to humans, considered somewhat like “manager angels,” Archangels oversee the responsibilities of Guardian Angels and the other Celestial Light Beings that act as our guardians and guides. Each Archangel has specific qualities that distinguish their characteristics and their specific angelic responsibilities. Archangels, God’s top angels, are such powerful spiritual beings that they often capture people’s attention and awe. While the exact amount of archangels is debated among different faiths, seven archangels supervise angels who specialize in different types of work helping humanity, and four of those are considered by many believers to be the most important archangels. They are: Michael, Gabriel, Raphael, and Uriel. Michael, who leads all of the holy angels, often works on missions that involve fighting evil, proclaiming God’s truth, and strengthening people’s faith. Archangel Michael is God’s top angel, leading all of the angels in heaven. He is also known as Saint Michael. Michael means “Who is like God?” Other spellings of Michael’s name include Mikhael, Mikael, Mikail, and Mikhail. Michael’s main characteristics are exceptional strength and courage. Michael fights for good to prevail over evil and empowers believers to set their faith in God on fire with passion. He protects and defends people who love God. People sometimes ask for Michael’s help to gain the courage they need to overcome their fears, obtain strength to resist temptations to sin and instead do what’s right and stay safe in dangerous situations. Gabriel, who communicates God’s most important announcements to humans, specializes in helping people understand God’s messages and apply them to their lives well. Archangel Gabriel is known as the angel of revelation because God often chooses Gabriel to communicate important messages. Here’s a profile of the angel Gabriel and an overview of his roles and symbols: Gabriel’s name means means “God is my strength.” Other spellings of Gabriel’s name include Jibril, Gavriel, Gibrail, and Jabrail. People sometimes ask for Gabriel’s help to: clear away confusion and achieve the wisdom they need to make decisions, obtain the confidence they need to act on those decisions, communicate effectively to other people, and raise children well. Raphael, who serves as God’s main healing angel, cares for the health of people, animals, and every other part of God’s creation. Archangel Raphael is known as the angel of healing. He’s full of compassion on people who are struggling physically, mentally, emotionally, or spiritually. Raphael works to bring people closer to God so they can experience the peace God wants to give them. He is often associated with joy and laughter. Raphael also works to heal animals and the Earth, so people connect him to animal care and environmental efforts. People sometimes ask for Raphael’s help to: heal them (of illnesses or injuries that are physical, mental, emotional, or spiritual in nature), help them overcome addictions, lead them to love, and keep them safe while traveling. Raphael means “God heals.” Other spellings of Archangel Raphael’s name include Rafael, Repha’el, Israfel, Israfil, and Sarafiel. Uriel, who focuses on wisdom, often works on missions of helping people learn more about God, themselves, and others. Uriel means “God is my light.” Other spellings of his name include Usiel, Uzziel, Oriel, Auriel, Suriel, Urian, and Uryan. Archangel Uriel is known as the angel of wisdom. He shines the light of God’s truth into the darkness of confusion. People sometimes ask for Uriel’s help to: seek God’s will before making decisions, come up with fresh creative ideas, learn new information, solve problems, resolve conflicts, let go of destructive emotions such as anxiety and anger that can prevent them from discerning wisdom, and recognize dangerous situations so they can try to avoid them. Archangel Michael is a powerful Archangel of protection. Michael oversees guardian angels, and he will help you to release lower energies of fear or worry, so that you can open to experience the incredible love and light of the Angelic Ream, and live a fun, fulfilling and passionate life. Archangel Michael is one of the easiest Archangels to hear, and also one of the most known. His main role is to take away negativity. He is able to restore harmony and peace in our lives and in the world. He is a very huge, powerful angel, and is often seen by those who are clairvoyant as an indigo (purplish-blue) colored light. Archangel Michael presides and rules over the Tree of Life Sephirah 6 (Tephirah). Archangel Michael name means ‘who is like God’. Archangel Michael rules the Blue Ray which is the 5th Ray in the spectrum. When Archangel Michael is in attendance you may see flashes or sparkles of blue or purple light. Archangel Michael is a ‘protector angel’ and is known as the ‘Protector of Humanity’ who bares the ‘Sword of Freedom’. Michael is also known as the ‘Prince of the Archangels’ and the ‘Defender of the Faith’. Archangel Michael functions as the world’s guardian angel as he is the master at keeping Divine order in all situations. It is Archangel Michael’s purpose to help you with whatever you need, when you need it. Archangel Michael is the Archangel of the South, and rules over the element of Fire. Archangel Michael vibrates to the energies and powers of faith, truth and protection. Gabriel – Gabriel is sometimes depicted as a male, and at other times as a female archangel. For simplicity, however, I will just use the masculine pronoun when describing him here. Gabriel is the communication angel, and we can call upon him whenever we need help with writing or speaking. Clairvoyants often see him as a copper colored light. Archangel Gabriel’s name means ‘God is my strength’, ‘strength of God’, ‘the Divine in my strength’. Archangel Gabriel presides over the Sephira Yesod and the Moon rules over the Tree of Life Sephirah (Yesod). Archangel Gabriel is known as the ‘Angel of the Annunciation’, the ‘Angel of Resurrection’, the ‘Chief Ambassador to Humanity’, the ‘Angel of Revelation’, and the ‘Bringer of Good News, Judgement and Mercy’. Archangel Gabriel is the ‘Angel of Harmony, Beauty, Purification and Art’, the ‘Angel of Joy and the Spirit of Truth’, and is the ‘awakening’ Archangel and the ‘soul’s guardian’. Archangel Gabriel teaches us to seek angelic help and guidance through invocation, ritual, meditation and dreams and helps to raise our conscious in order to increase our awareness of angels. Archangel Gabriel is the Archangel of the West and rules over the element of Water. Archangel Gabriel also works in the purest essence of every ray, the pure white Light. Archangel Gabriel governs the Base or Sacral chakra, and when this chakra is functioning at its optimum, you have the thrust and energy to get things done and feel passionate about achieving your goals and making a success of your life. You also put more energy towards your relationships and social contacts. Gabriel is in charge of the development of the Base and Sacral chakras of the planet and humanity as a whole. Archangel Gabriel is the archangel of the mind and can be called upon to help with mental challenges, to help construct alternative choices for outcomes in situations, and to help with decision-making. Raphael is the main archangel who oversees healing for living beings on Earth. He is a well know and incredibly powerful angelic being, who is ready, willing and waiting to connect with you directly if you so desire. Through the powerful divine guidance from Archangel Raphael, you can learn to activate and use your bodies innate ability to heal itself. Archangel Raphael is the angel to call upon if we wish to heal others or ourselves, except in cases where illness is part of the overall plan. As a response to our request, Raphael will show us what we can do to get well. He also often allows us to see how our thoughts and actions triggered our health problems in the first place. Clairvoyants often see his essence as an emerald green colored light. The name Raphael means ‘God heals’, ‘God has healed’, ‘Medicine of God’, derived from the Hebrew word ‘rapha’ meaning ‘healer’ or ‘doctor’. Raphael is the archangel of healing and is also known as ‘the Shining One Who Heals’. Archangel Raphael rules over the 4th Ray, the green ray, which is the fourth colour of the visible rainbow spectrum and is the colour of the Heart Chakra (green and pink). Raphael’s healing powers are directed to the dissolution of negative blocks, transmuting them to the positive power of love. Archangel Raphael is known as the ‘Chief of Guardian Angels’ and he is considered to be the patron of science and medicine, known as the ‘Archangel of Science and Knowledge’ and the ‘Archangel of Consecration and Dedication’Archangel Raphael is the ‘Angel of Healing, Abundance, Creativity, Truth and Vision’, and Raphael is also the patron saint of the blind. Archangel Raphael is also known as the patron saint of travelers and traveling, so call upon Raphael when you are traveling to ensure a safe and happy journey. Archangel Raphael is the Archangel of the East and rules over the element of Air. Archangel Raphael’s energies are most powerful on the Earth on Wednesdays and Sundays. Raphael’s wings symbolize his ability to rise above limitations. When Archangel Raphael is around you, you may see sparks, flashes or twinkles of green light. Archangel Raphael assists with spiritual and physical healing for humans and animals, gives guidance and support for healers, helps with reducing and eliminating cravings and addictions, enhancing clairvoyance, retrieving lost pets, space clearing and traveling. Archangel Raphael is a guide and healer for both wild and domesticated animals, and also assists with finding lost pets. Raphael helps to develop Divine vision, intuition and insights, and enhances creative visualization and manifestation techniques. Raphael helps us to develop our inner-vision and intuitive abilities, and helps to open our hearts and minds to the healing powers of the Universe. Archangel Raphael brings us in touch with our personal spirituality and allows us to find healing in nature and in the Universal Energies. Archangel Raphael presides over the Sephira Chokmah on the Tree of Life, and is archangel of the 4th Ray. Archangel Ariel is well known as the Image result for archangel ariel fantasy art “Lioness of God”, (and is associated with lions), and also means ‘altar’as this is the direct translation of the name Ariel, or Arael in Herbew. But there’s more to Ariel, who is a powerful Archangel of abundance, happiness, and nature. Ariel closely works with animals, and the realms of nature and helps those whose missions are aligned with helping animals and the environment. Ariel is associated with the element of Wind and the direction North, and oversees the Earth, creative forces and Elemental spirits. Ariel is the ‘Angel of Nature’ as she oversees the protection and healing of plants and animals. Ariel is experienced as a feminine angelic presence with a beautiful pale pink energy. Her name means Lioness of God and she is described within books and literature involving Judaic mysticism and cabalistic magic. Archangel Ariel is aligned with the Natural World, with Animals and with Elementals (i.e. Fairies, Elves, Sprites, Gnomes etc.) In this capacity Ariel is a Guardian and healer of Animals and is an ally toward conservation of our natural world. Ariel will work autonomously and/or alongside Archangel Raphael for healing both wild and domestic animals. She invites us to call upon her for angelic assistance regarding any issues relating to animals and/or with conservation. Ariel is aligned with air/wind and with water, and although she is a guardian of all animals, she is especially aligned with birds and the Lion would be considered her “animal totem.” Archangel Ariel will act as an Angelic Liaison for those interested in connecting with the Elemental Kingdoms. Call upon Ariel to provide platforms for positive interactions with the Fairies, Nature Spirits, Sprites and others within the Elemental Kingdom. Ariel invites us to go outside and encourages us to spend time within the Natural World. She reminds us that there is a magical healing energy found in Nature that is restorative and rejuvenating to our body, mind and spirit. Soothing, refreshing and inspiring, simply spending time in nature has the ability to clear our perspective. Archangel Ariel is often depicted with a globe representing the Earth, or with water, fire or rocks, symbolizing the elements of nature. Archangel Ariel is also the ‘Angel of Destiny’ and is believed to be the feminine aspect of Archangel Uriel. Being androgynous, Archangel Ariel appears in both male and female form, although most often interacts from a feminine aspect. Archangel Ariel speaks to us through the Heart Chakra. Archangel Ariel resonates with pale pink and rainbow colors. Archangel Ariel oversees sprites (Elementals or nature angels associated with water) whose purpose is to maintain healthy environments around all water areas such as oceans and seas, lakes and rivers, estuaries, streams, creeks and ponds. Crystals: Rose quartz, Amethyst, Emerald, Jade, Moonstone and Pink Tourmaline, Carnelian, Gold, Silver, Gold Topaz, Peach Adventurine, Opal, Sugarlite, Rhodochrosite. Essential Oils: Carrot seed, Hyacinth, Hyssop, Jasmine, Neroli, Sandalwood, Frankincense. Archangel Haniel is an Archangel of Related imageenergy, vitality, and passion for life.When called upon, Archangel Haniel will cleanse and transmit all worry and lower vibrations back into love with her blue orb of healing light. Archangel Haniel is an Angelic Ambassador of the Vibration of Grace, Remembrance of Natural Healing, and Ambassador of Opening and Developing of Natural Intuitive Abilities. Haniel is experienced as a feminine angelic presence with a beautiful opalescent blue-white energy. Her name means Grace of God and her presence helps us to return to our True State of Being. Haniel’s energy helps us to realign with our True and Natural State of Grace and to return to the Integrity of our Divine Essential Self. Archangel Haniel is aligned with the Stars and the Moon. She is one of the archangels who guided the priest-astronomers of ancient Babylon with their work in astrology, astronomy, divination and spiritual healing. Archangel Haniel can also help you to awaken your psychic and spiritual abilities like energy healing, clairvoyance, intuition and inner strength. Archangel Haniel’s name means ‘glory of God’, ‘grace of God’ or Me, the God”, and is the ‘Angel of Intellectual Activity’. Archangel Haniel presides over the Sephira Netzach on the Tree of Life, and rules over the planets Venus and Saturn, as well as the Moon. Archangel works on the white ‘Ray of Purity’ and the orange ‘Ray of Logic, Reason and Knowledge’. Archangel Haniel also resonates with the colour turquoise, which is the colour of the ‘Age of Aquarius’, and the vibration of this colour encourages us to seek spiritual knowledge and wisdom.Archangel Haniel is the ‘Angel of Divine Communication’ and he encourages Divine communication through clear perception and works with group energies and communicators. Archangel Haniel resonates with the energy of the Moon, and governs feminine power and the ancient magic of healing. Haniel connects to us using vivid, recurring visions and/or dreams. Archangel Haniel’s presence clears and balances the 3rd Eye Chakra. Archangel Jophiel is a wonderful ally Related imageto call upon when you need help seeing the beauty within and around you. She will help you to shift your perspective from focusing on what is wrong and bad, into seeing the positives, beauty and magic that is all around you. Translated to English, Jophiel’s name means ‘Beauty of God’, or ‘the overwhelming beauty of God.’ Archangel Jophiel is the ‘Angel of Wisdom and Illumination’ and works with the angels from the ‘Halls of Wisdom’. Archangel Jophiel helps you to develop a fresh approach to life, bringing positive and optimistic attitudes, enhancements and pleasure. Archangel Jophiel builds connections to align you to your Higher-self, and helps to recover soul fragments that may have been scattered by shock, fright, grief or severe illness. Archangel Jophiel rules over the yellow ray, which is the third ray of the rainbow’s colour spectrum. Archangel Jophiel’s yellow ray illuminates our path through life by helping us look beyond the obvious to gain an understanding of the current life situations we may be caught up in. The colour yellow is the mental colour that deepens to gold as you open to more wisdom. Archangel Jophiel resonates with all yellow foods (eg. corn, yellow peppers (capsicum), bananas, lemons, grapefruit, honey and hazelnuts). Archangel Jophiel oversees the expanding of the Crown Chakra in humanity to enable everyone to connect with their Higher-Self. Archangel Jophiel helps us to look at life from a deeper level and assists to awaken our soul and bring a deeper understanding of we truly are and our spiritual life purpose in this lifetime. Jophiel brings about soul illumination and strengthens the connection with the Higher-self, spirit guides and angels. Archangel Jophiel is the Archangel of beauty and art, is also known as the ‘Patron of Artists’. He assists with artistic projects and creating and acknowledging beauty within ourselves and others. Jophiel illuminates our creative spark and infuses us with the energy and ideas to carry out artistic ventures. Archangel Jophiel’s gifts include the ‘Wisdom Flame’, intuition, joy, perception, wisdom, renewal, energy, bliss and soul illumination. He assists when your creativity needs a boost to prevent feelings of low self-esteem, mental fatigue and/or inertia, and he can heal, cleanse, activate, balance and align the body and soul, mind and spirit. Archangel Jophiel uses his might and power to light up and inspire the mind and spirit so that we are able to be creative, open-minded and wise. Archangel Uriel’s name means “the Light of God,” and she is often depicted with an open hand… Holding forward a flame of light that is a gift of illumination for all human souls. The open hand of Archangel Uriel represents the openness and willingness to receive the love of God and to remain spiritually devoted. Uriel pours light upon the world illuminating humanity and helping us each along the path of enlightenment. Archangel Uriel aids us in situations when we feel helpless, and comes to the rescue during disasters. He also helps us to fulfill our life’s purpose, and pushes us to feel motivated when we are in a slump. He is very present to help out during times of war and violence. Clairvoyants often see him as a whitish yellow colored light. Archangel Uriel means ‘Fire of God’, ‘Flame of God’, ‘Light of God’, ‘God’s Light’, or ‘God is Light’, ‘God is My Light’, ‘Radiation of God’, ‘God is the Radiating Principle of Light’. Archangel Uriel rules over the Red Ray, red being the first visible color in the rainbow spectrum. His glyph is the lightening flash that he uses to bring flashes of inspiration. Archangel Uriel is the Archangel of the North, rules over the element of Earth, and relates to the astrological signs of Aquarius, Taurus, Virgo and Capricorn. Archangel Uriel brings the concept and practice of alchemy and the ability to manifest onto the Earth plane. Archangel Uriel assists with Earth changes, alchemy, problem-solving and solution-finding, spiritual understanding, studies, learning and education, weather and writing. Archangel Uriel is the ‘Angel of Peace’ or the ‘Archangel of Divine Peace’, the ‘Angel of Salvation’, the ‘Angel of Repentance’, and the ‘Prince of Light’. Uriel is also the ‘Angel of Music’, the ‘Angel of Poetry’, the ‘Angel of Prophecy’ and the ‘Archangel of Ministration’. Archangel Uriel’s symbol is an open hand holding a flame, which he offers as the ‘Flame of Love’ towards all souls.Archangel Uriel is one of the most powerful of archangels, and he is associated with light, electricity, lightning and thunder, sudden action, courage, stamina and endurance. Uriel activates and revitalizes, and helps to release the energy blocks deep within the body’s system. Being known as the ‘Angel of Salvation’, Archangel Uriel is able to show us how we can heal all aspects of our lives, finding blessings through adversity, turning disappointments into victories, and releasing painful memories and burdens. Archangel Azraels name means “Whom God helps”. Archangel Azrael’s primary angelic responsibility is assisting souls in making the transition from physical life to the spirit world after death. Archangel Azrael can also help you to complete a life review now. Archangel Azrael means ‘Whom God helps’. Archangel Azrael works on the 2nd ray. The 2nd ray holds the vibrations of love and wisdom. Archangel Azrael is often recognized as the ‘Angel of Death’ and is also known as the ‘Archangel of Spirit’ because he is an intermediary between angels and archangels. Archangel Azrael comes with unconditional love, and provides guidance and assistance for our highest good. Archangel Azrael reminds us that death is transformation. Archangel Azrael’s primary purpose is to assist those who are making the transition from physical life to spiritual life. He helps us with experiencing a loving and gentle transition, and releasing our soul from the physical body that no longer serves us. Archangel Azrael comes with great compassion and wisdom and brings Universal healing energies, comfort, support and love to those grieving after the loss of a loved one. Archangel Azrael offers comfort where it is needed, particularly at times of grief and bereavement. Archangel Azrael is known as the Angel of Death’ and is with you when your physical body dies, soothing any suffering and fear, and assists with the journey as you pass over to the Other Side. Archangel Azrael’s primary angelic responsibility is to assist those who are making the transition from physical life to spirit life. Azrael ensures that the transition process is painless and effortless as well as offers safe passage to those who are transitioning, lovingly guiding them to their heavenly home. He also offers assistance to new arrivals helping them to adjust to life in Spirit. In addition to assisting those who are transitioning from the physical plane to Spirit, Archangel Azrael brings Universal Healing Energy, love and comfort to those who are grieving the loss of a loved one. Azrael holds this space with deep honor and respect, and considers this a very sacred service. Understanding that grief is a natural and also a very personal process, Archangel Azrael comes with great compassion and wisdom. Archangel Azrael assists with comforting the dying and grieving, crossing over the souls of the newly deceased. Archangel Azrael comforts people prior to their physical death and makes sure that they do not suffer during their passing. Azrael also offers assistance to new arrivals on the Other Side, helping them to adjust and assimilate to life on the Other Side in the spiritual realm. Archangel Azrael surrounds those left behind (eg grieving family and friends) with Divine Light and healing energies, helps them to cope with loss, and brings material, spiritual and emotional support. Archangel Azrael stands by as a source of quiet strength and comfort and is available to all concerned. Archangel Zadkiel radiates joy, love, Image result for archangels and their crystals fantasy artforgiveness, freedom and mercy. 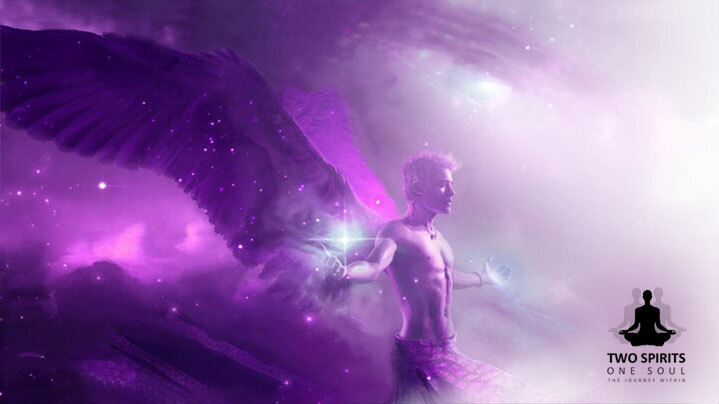 Zadkiel is connected to the seventh ray, or violet flame, and has such an uplifting vibration simply calling upon Archangel Zadkiel will cleanse and illuminate your vibration…Zadkiel’s name means ‘the righteousness of God’, ‘Knowledge of God’ or ‘the Justice of God’. Archangel Zadkiel rules the highest vibration in the rainbow, the Violet Ray which is the 7th ray of the rainbow’s color spectrum. Archangel Zadkiel is the guardian of the ‘Violet Flame of Transformation and Healing’, which has the highest vibration frequency. This brings soul freedom and joy by releasing us from our limiting behaviors, concepts, beliefs and karmic binds or lessons. Archangel Zadkiel is known as the ‘Holy One’, the ‘Angel of Mercy and Benevolence’, the ‘Archangel of Deep Contemplation of God’, the ‘Angel of Understanding and Compassion’ and the Archangel of ‘Divine Joy’. Zadkiel resonates with Divine Grace and Divine Forgiveness. Archangel Zadkiel is also related to darkness, primal waters and inertia, and helps us to understand obstacles/difficulties that confront us in life, and with learning how to overcome them effectively. Archangel Zadkiel is the ‘Angel of Deep Contemplation’, representing the Divine feminine, and the water aspects of creation. Archangel Zadkiel represents the ‘Cosmic Mother’, contemplation and nurturing, the deeper aspects of the Divine Feminine (to protect and nurture), and the deeper aspects of intuition. Archangel Zadkiel is associated with feminine energies, mothers and motherhood due to the emphasis on nurturing and caring, as Zadkiel nurtures all things and gives glimpses of other realities.Archangel Zadkiel has the mission of helping us to discover the Divine aspects within ourselves and encourages spiritual growth and cosmic alchemy, accessing angelic guidance, wisdom and understanding. Archangel Zadkiel helps us to develop our natural tendencies towards helping one another whilst serving your life purposes. Archangel Chamuel is a powerful Archangel of protection, comfort, love, peace and compassion. Chamuel often works behind the scenes to help ease tension, alleviate burdens and rinse away fear and pain energy from your being. Call upon Archangel Chamuel to integrate Divine love and peace into your life now. Archangel Chamuel’s name means ‘he who sees God’ or ‘he who seeks God’. Archangel Chamuel’s message is: “It is only the love energy within any given purpose that gives lasting value and benefit to all creation”. Archangel Chamuel presides over the Sephira Geburah on the Tree of Life. Rose Quartz crystals resonate with Archangel Chamuel’s healing energies and emotional healing. Archangel Chamuel helps to renew and improve your loving relationships with others by helping to develop the Heart Chakra. Essential oils of Rose Otto and Rose can be used to connect with Archangel Chamuel, and are used to open the heart chakra, bringing love, inner-peace and emotional balance. When you expand your heart chakra your cosmic heart becomes open and you can connect to the love of the cosmos. The Pink Ray of Archangel Chamuel takes the heat out of emotional stress and restores equilibrium without suppressing the release process. Archangel Chamuel brings the energies of unconditional love, beauty and compassion, and specializes in emotional healing. Archangel Chamuel is known as the ‘Angel of Love’ and he oversees all the ‘Angels of Love’. They pour unconditional love into you and enable you to express love through creativity of all kinds. Angels of Love appear unexpectedly in response to people who are working with their hearts open and Archangel Chamuel sheds his loving light over artists, philosophers, peacemakers, meta-physicians and musicians. Archangel Chamuel and the Angels of Love bring pure compassion and love when you need it. The Angels of Love help in any situation that requires heartfelt communication and will do whatever they are able to within the guidelines of the Universal Spiritual Laws to ease your life and heal a hurting heart. The Angels of Love specialize in making your daily life more harmonious. Archangel Jeremiel assists with developing clairvoyance, receiving prophetic visions, understanding the meaning of dreams, and sorting through past memories to review your life. Call upon Archangel Jeremiel when you’re ready and willing for help, and he will help resolve challenges and guide you to make changes which will impact your future in a positive way. Jeremiel means ‘mercy of God’, ‘God’s mercy’ and ‘Lord of Souls awaiting resurrection’, and is known as the ‘Angel of Presence’ and the ‘Angel of Visions and Dreams’. Archangel Jeremiel brings to light things that have not been in the light before. Archangel Jeremiel is also known as the ‘Angel of Transition and Change’, and embodies forward movement and positive change. Archangel Jeremiel is said to preside over bees. Archangel Jeremiel assists with prophetic visions, psychic abilities and clairvoyance, and presides over true visions. Jeremiel assists with bringing clear vision (clairvoyance) both in our waking and dream states and brings a sense of clarity of self. Jeremiel assists with developing psychic and spiritual abilities and bringing them to the fore to be used for the highest good of all. Archangel Jeremiel helps you to fearlessly face your past and learn from prior experiences. Archangel Jeremiel encourages positive life choices. Archangel Jeremiel mainly communicates through visions, symbols, mental movies, and dreams. He’s particularly helpful in assisting you with developing clairvoyance, receiving prophetic visions, understanding the meaning of dreams, and sorting through past memories to review your life, and resolve to make changes which will impact your future in a positive way. Archangel Jeremiel is incredibly helpful when it comes to dealing with emotions. Specifically, he will help you to see the patterns in your life which have led to your current emotional state. This is often called a life review, where you “see” past experiences, memories, choices, and patterns that have molded your life, and impacted your energy and emotions. With this understanding, he then offers gentle guidance (usually in the form of inner visions, impressions, and mental images) to help you make positive changes to raise your emotional vibration in the present so you can positive impact your future and align with your authentic soul path and purpose. Archangel Jeremiel reviews our lives with us after we have crossed over, and helps us to re-acclimatize to our spirit bodies once we pass back to the Other Side. Jeremiel is also able to review our lives for us whilst we are still on the Earth plane by helping us to review our lives up to the present moment allowing us to make positive changes and adjustments which lead us on the right path. Jeremiel helps us to consider, examine and consolidate our present life circumstances, and where we are headed in the future, enabling us to learn from experiences and maximize our opportunities. Archangel Raziel is like the wizard of the Archangels as he holds the key to unlocking many of the secrets and mysteries of the Universe. Connecting with Raziel can help you to uncover new spiritual insights, develop your psychic abilities, remove blockages, increase your creativity, and tune into Divine magic and manifestation. Archangel Raziel’s name means ‘secret of God’ because he works so closely with the Creator that he knows all the secrets of the Universe and knows how it works. He represents the ‘Cosmic Father’ and the secret mysteries of the Universe. Archangel Raziel aids us to come to greater wisdom of how the Universe operates. Archangel Raziel rules over the 6th Ray of the physical visible rainbow spectrum – the Indigo Ray. Archangel Raziel may appear in many forms, but most often as pure energy or vibrant light. Archangel Raziel is the Archangel of the ‘Revelation of Divine Mysteries’, and he offers mysterious knowledge, insight and Divine wisdom to those who are ready to receive it. Raziel works as a spiritual guide, infusing Divine grace and knowledge which helps to broaden the intuition, assisting with understanding metaphysical and esoteric aspects. Archangel Raziel brings Divine information by allowing us to glimpse the enigmas of the Universe. These experiences take our consciousness beyond the confines of time, so any glimpses of this level of existence will show past, present and futures as the eternal ‘now’. Archangel Raziel helps to create internal communications and helps to focus on personal issues such as self-awareness, self-knowledge and understanding. Archangel Raziel can help you to open up to higher levels of spiritual awareness and psychic abilities and increase your ability to hear, know, see and feel Divine guidance. Archangel Raziel helps you to understand spiritual and esoteric material, the principles of manifestation, sacred geometry, quantum physics and other high-level information. He helps you to deepen your spiritual understanding of esoteric information, knowledge and concepts. Archangel Raziel can help you to understand sacred geometry, quantum physics, the principles of manifesting and manifestation, alchemy and other high-level information. Archangel Raziel helps to enhance intuition, clairvoyance and clairsentience and also helps to develop psychic abilities and spiritual awareness. Archangel Raziel is the keeper of the DIVINE MYSTERIES and so this guardian Angel of Illumination is the keeper of the supreme knowledge of the soul, just as the Great Pyramid and Sphinx hold the secrets of bygone civilizations. Therefore, drawing Raziel into your daily devotions will allow you to experience life drawn from a deeply profound connection with the sacredness of the Cosmos. Once you allow this magic into your life the veil of illusion parts, and you will see life truly as it is, full of a love that stretches for infinity. Archangel Raziel presides over the Sephira Chokmah on the Tree of Life. Archangel Sandalphon is the Archangel of music, poetry and prayer and works closely with musicians. Sandalphon receives and delivers prayers to the Divine so they are clearly heard and answered. Sandalphon means ‘brother’ in Greek, and he is said to be twin brother to Archangel Metatron. Sandalphon was the prophet Elijah, and Metatron was the wise-man Enoch. Sandalphon’s primary role is to carry human prayers to God so that they are able to be answered and assists with music and conveying messages and musings. Archangel Sandalphon is the ‘Guardian of the Earth’ and he is responsible for the welfare of human kind and all that inhabitants of Earth. Sandalphon brings glory to the kingdom and is the steward who rules the kingdom, bringing the nature elements (or Elemental s / the Elemental kingdom or realm) into harmony, and establishing peace and joy. Archangel Sandalphon offers us stability, balance and freedom. Archangel Saldalphon is the angel of earth-healing, prayer and absent healing. When we use nature’s colors to heal ourselves and the environment, we naturally tune into the energy of Archangel Sandalphon. Working with Archangel Sandalphon includes having respect for and being involved with all life of Earth. Archangel Sandalphon helps us to integrate healing energy within the physical body, which is vital if stability and balance are to be maintained. He brings grounding to our daily spiritual practices and those who work with nature’s energies (such as Shamans and the like) utilize his energies. Nature has furnished us with all the colors displayed in the multitude of trees, plants, flowers and crystals. Archangel Sandalphon is known as the ‘Archangel of the Holy Spirit’ and the ‘Angel of Music and Prayer’ as music is a powerful tool to lift and maintain a positive vibration and mind-set. Call upon Archangel Sandalphon to develop your musical skills and guide you towards lessons, tuition and avenues and opportunities to bring your unique music, songs and words to the world. Sandalphon can also guide and oversee your career path within the music industry. Archangel Sandalphon is said to have lived on Earth as the prophet Elijah, prior to ascending to the spiritual realms and becoming an archangel. Sandalphon is the twin brother of Archangel Metatron and they are the only archangels who were originally mortal men. Sandalphon was the prophet Elijah, and Metatron was the wise man Enoch. Focus: Environmental awareness – personal and global responsibility. Archangel Sandalphon presides over Sephira Malkuth on the Tree of Life. Archangel Muriel is a powerful and yet gentle Archangel of peace and harmony who oversees emotions, and intuition, with unconditional love and compassion. Archangel Muriel helps all who call upon her, but is especially connected to those who are empathic, or struggling with emotions. Muriel also assist individuals who are ready to open up intuitively to the next level. Muriel’s name means “God’s perfume.” Her angelic responsibility includes tending the animals and the plants of earth. She is often depicted with a crown of flowers which she lovingly places in the river of life. When she is around, you may smell the subtle scent of your favorite flower. Muriel brings messages of peace and harmony, reminding us that every selfless good deed is rewarded exponentially. Muriel’s huge heart will teach you how to love unconditionally. As you invite Muriel into your life, you become aware of your intuition. If you suddenly find yourself thinking about helping the homeless, follow through. Muriel teaches us that helping others is the path to true happiness. If you really want your life to change, volunteer at a homeless shelter, pull a few weeds from a local park, hang a bird-feeder or become a dog walker at an animal shelter. Reach out to someone else and see what happens to your life. You might just meet your future love or find the job of your dreams as a result of your willing service. At the same time, Muriel teaches to act with an open heart, without expectation of personal gain. Then and only then will your blessings come back to you multiplied. Muriel, whose name means “God’s Perfume”, is the Angel of Divine Light and Love, emotion and grace within, and is the patron angel of empaths. She helps us to gain greater control over and fine tune our emotions to “feel” at a higher level. Muriel will help you to be able to pick out what others are feeling while enabling you to channel these emotions in a more constructive and productive manner. By being able to “feel” the emotions of others, while keeping your own in check, you will be able to discern the needs of others and be of greater service to the Light. Archangel Muriel helps with the art of speaking, and to enlighten the mind in holy things. Angel Muriel helps us to be courageous to face challenges that may arise and she teaches us to grow and expand our horizon, to maintain our enthusiasm in everything we do. She urges us to be righteous and believe that there is power greater than us that is ever willing to help in times of need and grants wishes that comes from the heart. She has a reputation of giving intellectual and material rewards to those who are open minded. Her angelic responsibility includes tending the animals and the plants of earth. She is often depicted with a crown of flowers which she lovingly places in the river of life. When she is around, you may smell the subtle scent of your favorite flower. Muriel brings messages of peace and harmony, reminding us that every selfless good deed is rewarded exponentially. Muriel’s huge heart will teach you how to love unconditionally. Archangel Orion offers powerful help with energy clearing, protection, releasing dark or negative energy (or entities), and on the lighter side he will help you to open to receive and understand the vast beauty, magic and high vibration frequency present now. Orion is like the galactic Archangel… He is an incredibly powerful, cosmic, and love filled guide from the Celestial Realms. Archangel Raphael stands to my left.. In the metaphysical system of angel colors based on seven different light rays: blue, yellow, pink, white, green, red, and purple. Some people believe that the light waves for the seven angel colors vibrate at different electromagnetic energy frequencies in the universe, attracting the angels that have similar kinds of energy. Others believe that the colors are just fun ways of symbolizing the different types of missions that God sends angels on to help people. By thinking of angels who specialize in different types of work according to colors, people can focus their prayers according to what type of help they’re seeking from God and his angels. Blue (power, protection, faith, courage, and strength – led by Archangel Michael).The blue angel light ray represents power, protection, faith, courage, and strength. Michael, the leader of all holy angels, is in charge of the blue angel light ray. Michael is known for his exceptional strength and courage. He’s a leader who fights for good to prevail over evil. He protects and defends people who love God. People sometimes ask for Michael’s help to gain the courage they need to overcome their fears, obtain strength to resist temptations to sin and instead do what’s right and stay safe in dangerous situations. Yellow (wisdom for decisions – led by Archangel Jophiel). The yellow angel light ray represents the enlightenment that God’s wisdom brings into people’s souls to help them make good decisions. Jophiel, the archangel of beautiful thoughts, is in charge of the yellow angel light ray. Jophiel helps people learn how to think in enlightening ways that can help them develop beautiful souls. People sometimes ask for Jophiel’s help to: discover more about the beauty of God’s holiness, see themselves as God sees them and recognize how valuable they are, seek creative inspiration, overcome the ugliness of addictions and unhealthy thought patterns, absorb information and study for tests, solve problems, and discover more of God’s joy in their lives. Pink (representing love and peace – led by Archangel Chamuel). The pink angel light ray represents love and peace. Chamuel, the archangel of peaceful relationships, is in charge of the pink angel light ray. People sometimes ask for Chamuel’s help to: discover more about God’s love, find inner peace, resolve conflicts with others, forgive people who have hurt or offended them, find and nurture romantic love, and reach out to serve people in turmoil who need help to find peace. White (representing the purity and harmony of holiness – led by Archangel Gabriel). The white angel light ray represents the purity and harmony that come from holiness. Gabriel, the archangel of revelation, is in charge of the white angel light ray. People sometimes ask for Gabriel’s help to: understand the messages that God is communicating to them so they can grow in holiness, clear away confusion and achieve the wisdom they need to make decisions, obtain the confidence they need to act on those decisions, communicate effectively to other people, and raise children well. Green (representing healing and prosperity – led by Archangel Raphael). The green angel light ray represents healing and prosperity. Raphael, the archangel of healing, is in charge of the green light ray. Raphael works to bring people closer to God so they can experience the healing peace that God wants to give them. He’s often associated with joy and laughter. Raphael also works to heal animals and the Earth, so people connect him to animal care and environmental efforts.People sometimes ask for Raphael’s help to: heal them (of illnesses or wounds that are physical, mental, emotional, or spiritual in nature), help them overcome addictions, lead them to love and keep them safe while traveling. Red (representing wise service – led by Archangel Uriel). The red angel light ray represents wise service. Angels, who express their love for God by serving on the missions God gives them, encourage people to express their love for God through service as well.Uriel, the archangel of wisdom, is in charge of the red angel light ray. People sometimes ask for Uriel’s help to: seek God’s wisdom before making decisions, come up with fresh creative ideas for how to serve people in need, learn new information, solve problems, resolve conflicts, let go of destructive emotions such as anxiety and anger that can prevent them from discerning wisdom, and recognize dangerous situations. Purple (representing mercy and transformation – led by Archangel Zadkiel). The purple angel light ray represents mercy and transformation. Zadkiel, the archangel of mercy, is in charge of the purple light ray. Zadkiel helps people approach God for mercy when they’ve done something wrong, encouraging them that God cares and will be merciful to them when they confess and repent of their sins, and motivating them to pray. Just as Zadkiel encourages people to seek the forgiveness that God offers them, he also encourages people to forgive others who have hurt them and helps deliver divine power that people can tap into to enable them to choose forgiveness, despite their hurt feelings. Zadkiel helps heal emotional wounds by comforting people and healing their painful memories. He helps repair broken relationships by motivating estranged people to show mercy to each other.